According to Rockcliff the new properties strategically cover an under-explored area hosting the southeast extension of the world-class and prolific belt. 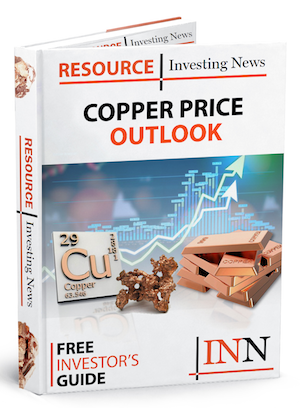 Rockcliff Metals (TSXV:RCLF) has announced that it has acquired through map staking a 100-percent interest in 2 separate land packages and now controls approximately 169,000 hectares making it the largest landholder in the Snow Lake portion of the world-class Flin Flon – Snow Lake greenstone belt. According to the company, the properties strategically cover an under-explored area hosting the southeast extension of the world-class and prolific belt. A minimum of 7 known base metal deposits from 250,000 tonnes up to 6.0 million tonnes in size are located along strike of both properties and host the same juvenile arc rocks associated with all of the VMS mines and deposits in the Belt. “The Belt has been home to over 30 base metal mines and 8 gold mines. Having worked there for over 13 years, we felt the time was right to acquire key land positions in an evolving new mining camp south-southeast of Snow Lake. We acquired the VMS #1 property and the VMS #2 property for their potential to host significant new high-grade mineral discoveries. With land covering 80 km of collective strike length, we are now in a position of beginning the compilation of all available data and are planning to complete an airborne geophysical survey with the ultimate goal of identifying drill targets.